The latest Heisman Trophy Betting Odds are out! 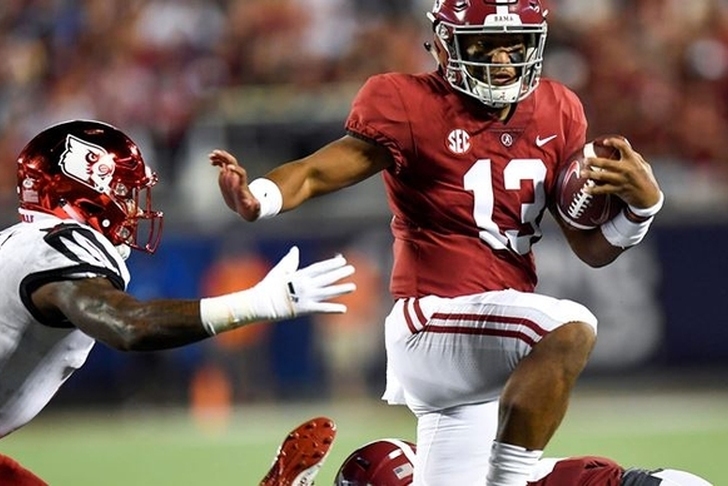 Alabama QB Tua Tagovailoa is still number one in the Heisman Trophy Race after the Crimson Tide beat up on LSU in a shutout win. Oklahoma QB Kyler Murray remains number two, but after Michigan crushed Penn State, So the Wolverines QB Shea Patterson is on the rise! If you love betting on college football games, we recommend sports book BetDSI because they have an absurd promo - 120% bonus money on your first deposit. If you bet on football, do it with BetDSI - use promo code LIVE120 to get 120% cash bonus - get started here at BetDSI. They are the only sportsbook we recommend.